In this fun minigolf game you'll have to put the ball into the hole taking into account that your hits are limited. Collect the gems in your way to get some extra points! 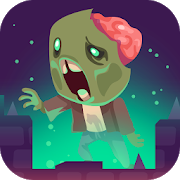 Enjoy this amazing 3D action game that anyone can play! It's very simple - just shoot at the carts that match the projectile. Try not to let them reach the goal if you wanna win! Good luck! Read the instructions carefully and throw several kinds of knives at the spinning wheel. As soon as you complete your objectives, the game will predict your luck, so put your accuracy to test and good luck! Help this young archer put her accuracy to test in every stage. Be as fast as you can! Stay safe from the monsters that are coming for you! You'll be on your own, but a bow and a few sharp arrows can help. Get rid of them before they take over your tower! Become Robin Hood for a while and get the highest score by shooting at all kinds of targets. Prove you're better than Robin Hood! Aim at the apple, draw your bow and shoot. The distance will increase in each new level. 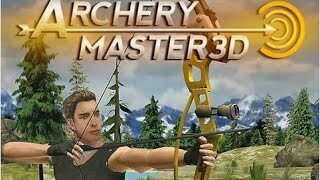 Become Robin Hood and prove you're the best archer in the world. Take into account the wind when you aim a shot and enter the rankings! Help Green Arrow with his bow training. Hit the target as many times as you can in as little time as possible. 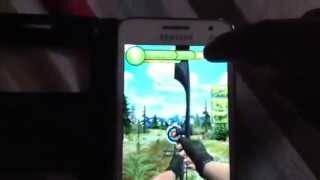 You'll find 3 different modes in this archery game -- Distance, Arcade and Time. Put your accuracy to test and shoot as fast as you can!